You can get the free crochet pattern this McQueen car hat here. 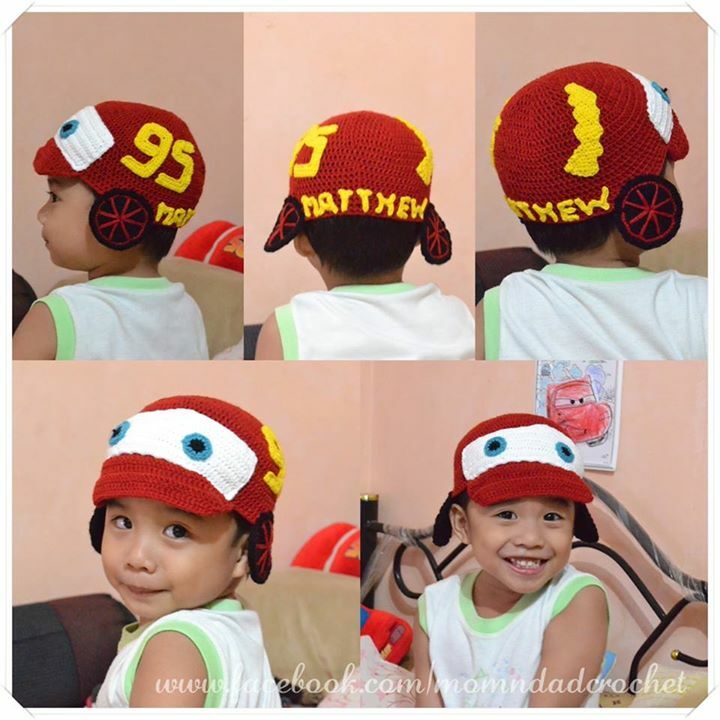 Or you can order a personalized one for your kid at Mom and Dad Crochet page. The model is super handsome! and your handmade creation is definitely amazing. LOVE it! Matt is the best model for this hat. Nice project! This would definitely be a good gift for boys who are fond of cars.